The Olympics are here. Anyone watching? It has been a rocky few months for NBC and Rio leading up to the 2016 Olympics. Environmental, economic and safety concerns have plagued press coverage and overshadowed the athletes and competition itself. Despite all the bad press, NBC execs remained hopeful that the 2016 Olympics would have higher ratings than ever with most of the 260 hours of Broadcast coverage airing live (Rio is only one hour ahead of the East coast). Unfortunately, Friday’s opening ceremony raked in the lowest ratings since 1992. Viewership peaked at 19.0 when Team USA made their star-spangled debut. Otherwise, ratings were lackluster at best and overnight ratings were down 28% from the 2012 London Summer Games. 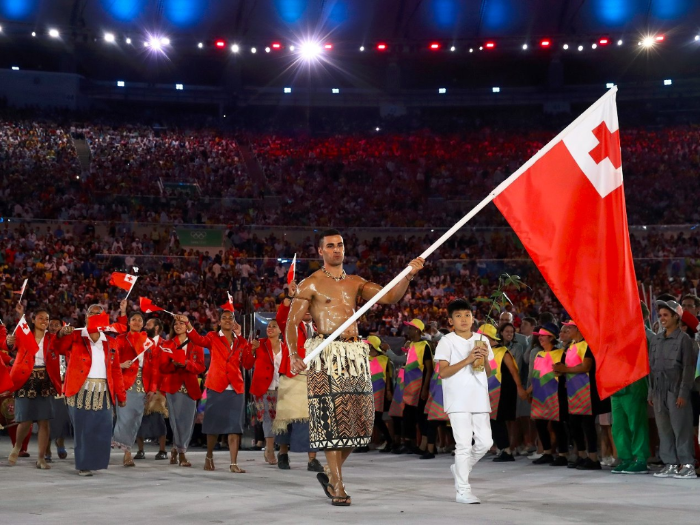 This despite a stellar light show and a generously oiled up Tongan flag bearer. Nahht great. Just before the start of the opening ceremony, NBC announced it had sold more than $1.2B in ad revenue guaranteeing advertisers household live-plus-same-day household ratings “in the high teens” for prime time coverage. If Olympics coverage doesn’t pick up, they’ll be stuck offering advertisers makegoods in later games, making it difficult to increase its $1.2B ad windfall. A piece of news that could help boost ratings: an Olympic kayaker apparently capsized after hitting a submerged couch. NBC Universal and Snapchat announced a partnership this morning that will bring NBC original content to the popular social platform. 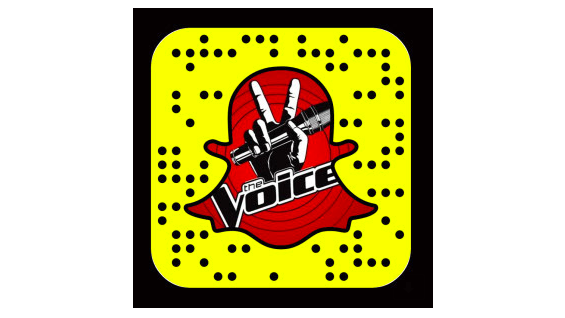 The content will start with “The Voice on Snapchat” hosted by Miley Cyrus and Adam Levine which will begin August 22 and include 5 episodes preceding the broadcast version of the show releasing in mid-September. The Snapchat version will be produced specifically for the platform in vertical format and will include some user-generated content for a chance to appear in the broadcast show. Later this fall NBCU will roll out Snapchat content from The Tonight Show with Jimmy Fallon, E! News and Saturday Night Live. NBC is attempting to lure some of the 150M Snapchat users who are watching less & less of their content back to TV. “From entertainment to news and sports, NBCUniversal has an unparalleled lineup, and Snapchat is the perfect partner to help us reach millions of fans where they are every day,” Ron Lamprecht, NBCUniversal’s evp of business development and digital distribution, said in a statement.